Exclusive masterpiece vase of face. 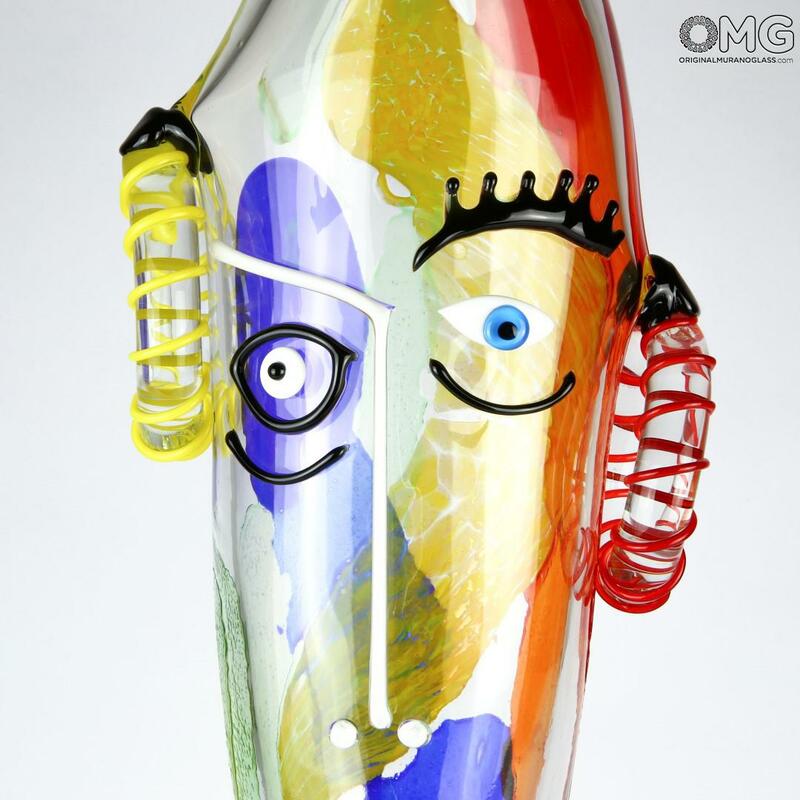 Artglass handmade in original Murano Glass signed by the glass master. Unique home decor for big spaces and for impressive interior design lover. 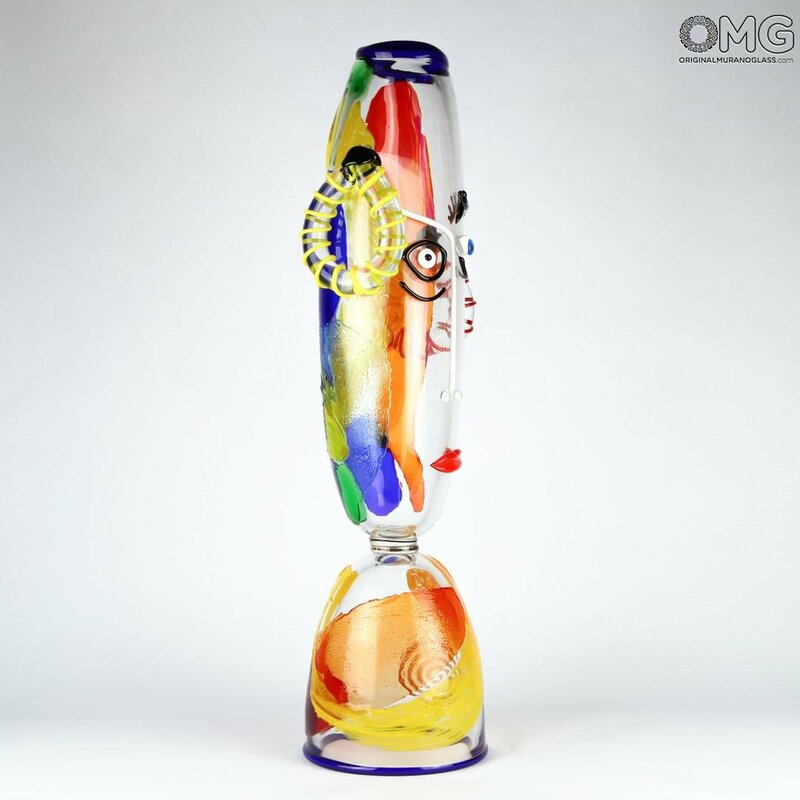 The artwork is made with the technique of blowing glass and it is artistic handmade with drawing glass decor at high temperature. The result is a very colorfull vase, perfect to hosts flowers, especially sunflowers or to pair with white walls or of soft colors. Try it near a Picasso picture and give to your house an unmistakable style. Unique and stunning piece of art handmade in Italy.